My name is Christine Shepherd, a Londoner by birth, entrepreneur and a free spirit by nature with a passion for chairs, lighting and art. And owner of TheKula. My interest in interiors developed in 2007 whilst living in Andalucia, Spain. I was given the opportunity to remodel 33 rooms of Hotel Punta Sur in Tarifa. I was then asked to remodel the lounge and restaurant areas and the following year to design three new suites. The creative juices were let loose! It has been an interesting journey since I returned to the UK in 2010, after living 10 years in Andalucia, and I have arrived safely. 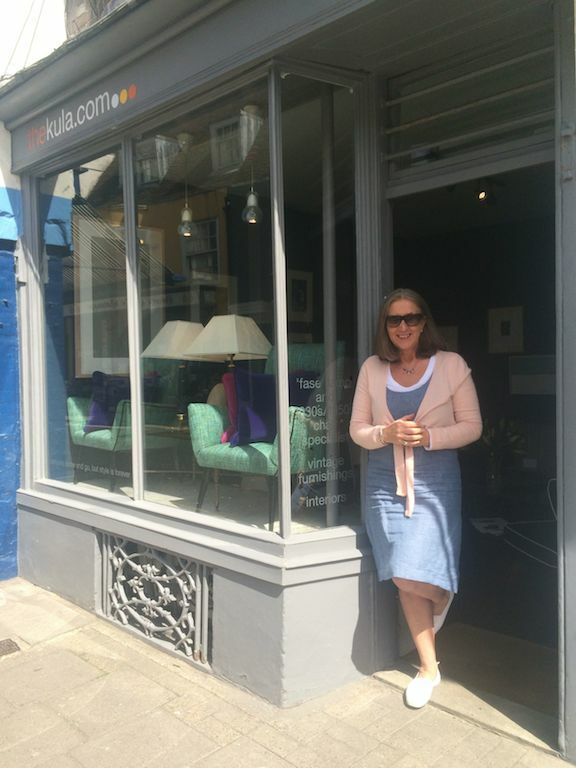 I closed my gorgeous shop in Hastings Old Town (2018) and now specialise and show my items on-line. I have also found a creative space on a farm in Battle, East Sussex as a member of Radiator Arts, a collaboration of talented artists, designers and performers. And I have begun to paint. Perfect! My clients come from all walks of life with one thing in common …. an eye for beautiful things. Scroll down for more infomation on why TheKula? I first appropriated the name ‘TheKula’ for an internet project in the 1990’s (it was a different life) and I have used the name for various projects ever since. It came from ‘The Kula Ring’, a system of ceremonial gift exchange, described by anthropologist Bronislaw Malinowksi (1922) for The Trobriand Islands off the coast of New Guinea. It seemed apt to appropriate the name considering that business is about exchange and the concept of gift giving fascinated me … in case you were wondering, I studied Anthropology. 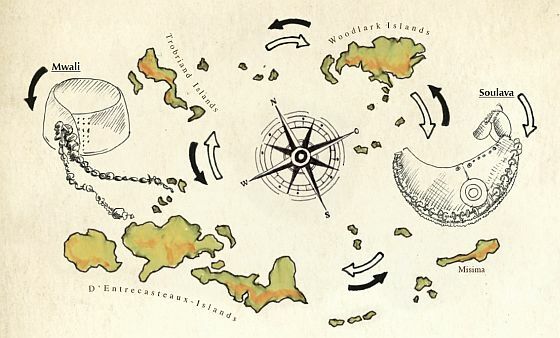 The inhabitants of these islands achieved regional integration, through the exchange of ceremonial gifts, despite their varying cultural and linguistic differences. The objects were shell necklaces and armbands. The necklaces flowed one way along the circuit of exchange partners, armbands the other. The transactions varied from informal ‘inland’ ceremonies to overseas visits accompanied by much pomp and magical activity. Sounds fun!